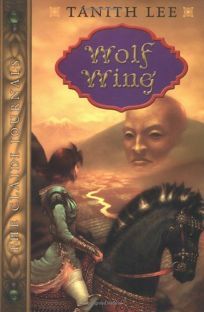 Wolf Wing by Tanith Lee is the final installment in the four-book series. Claidi and Argul are finally married, but their lazy life in Peshamba is not all they expected. Argul misses his former life as leader of the Hulta and they both miss a life of adventure. Then they receive a mysterious summons from Argul's powerful grandmother and a perilous new episode begins.